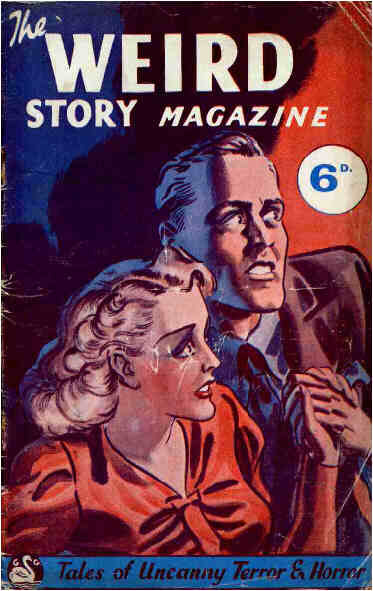 Magazines published by Gerald G. Swan, Ltd.
Gerald G. Swan was one of the most enterprising of wartime publishers in Britain. 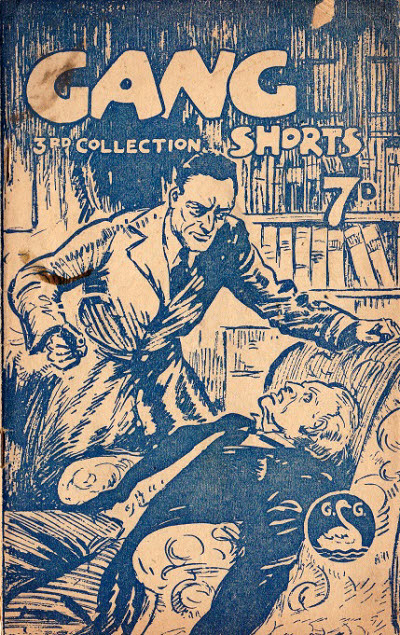 Although he established his publishing company in 1938, he stockpiled his books rather than distributing them and thus had a supply of paper when it was rationed during the war. 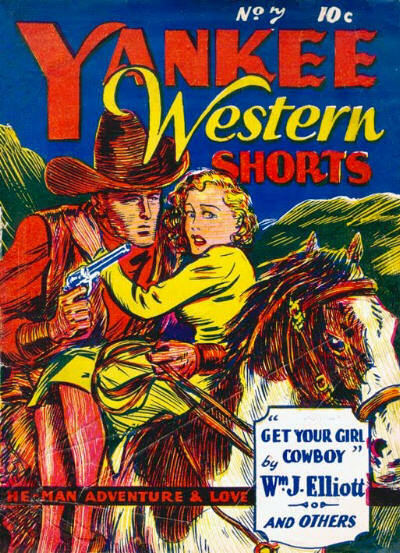 As a result he virtually cornered the magazine market and released hundreds of publications in all fields of fiction, all of irredeemably poor quality! 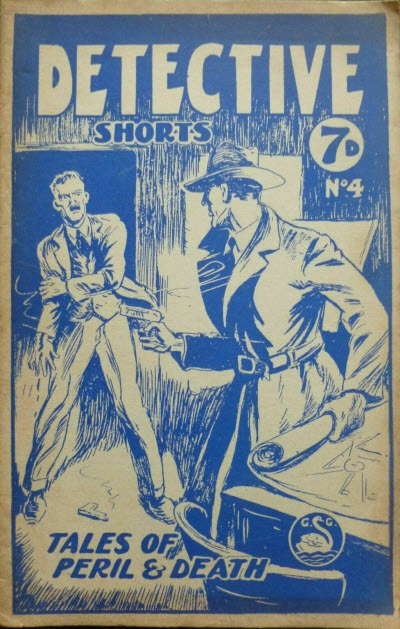 Most of his inventory was compiled in the 1940's from a mixture of home-grown "talent" and reprints from Columbia magazines, even though some of them were not printed until the 1960's. 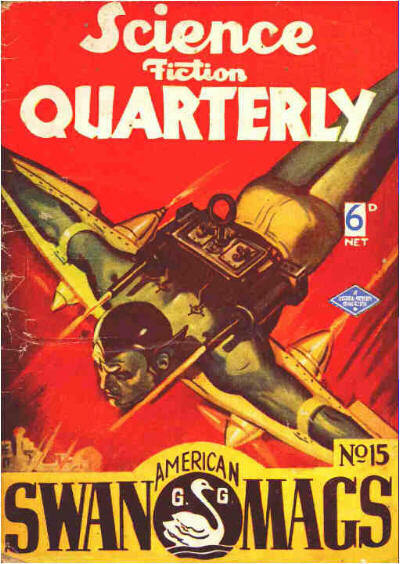 The following checklists represent just a small part of their output. 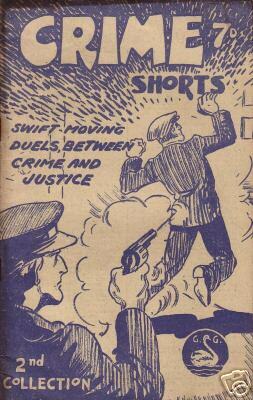 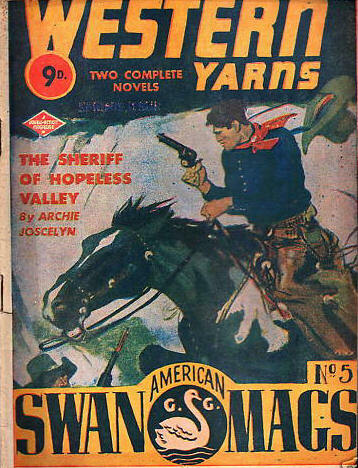 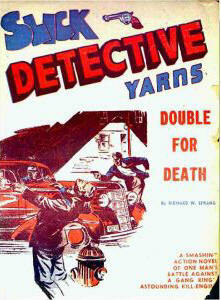 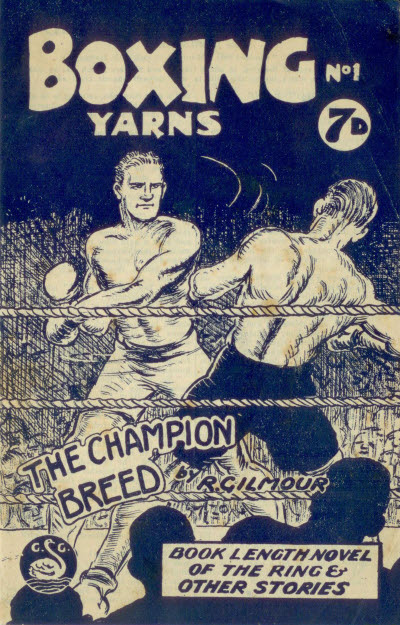 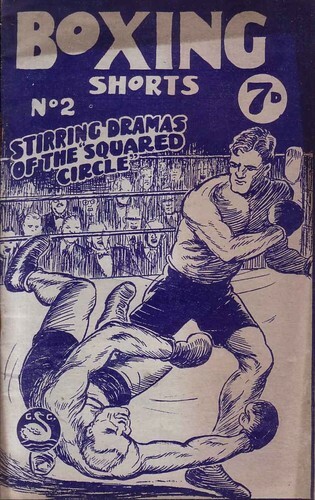 The first issue was called Boxing Yarns and the second was called Boxing Shorts. 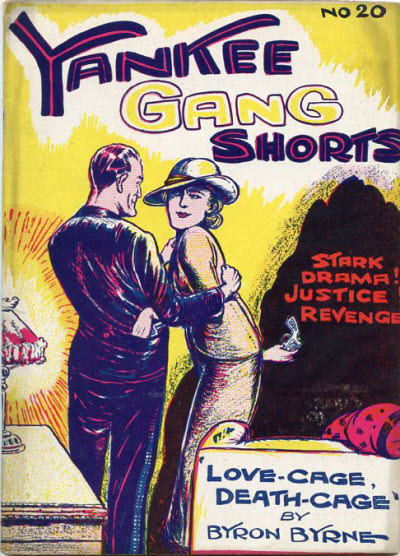 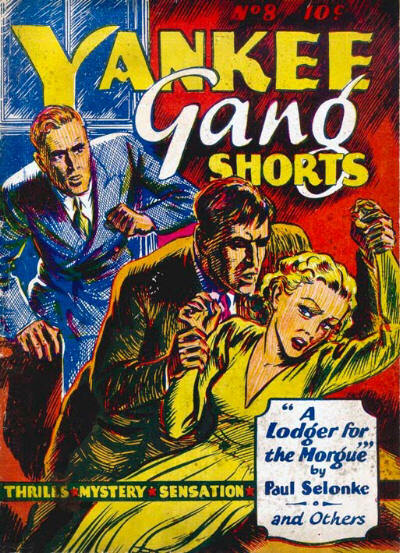 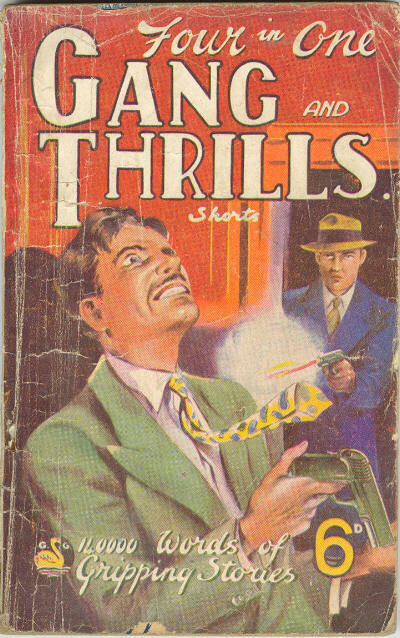 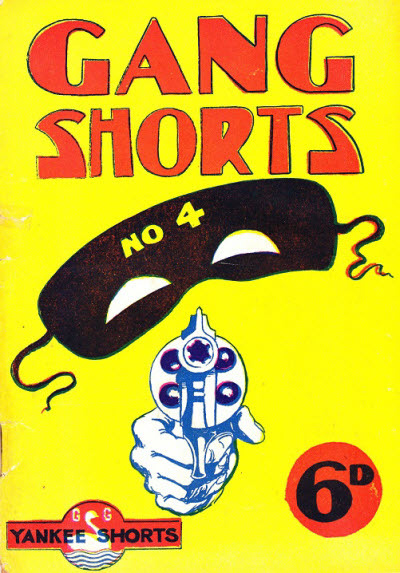 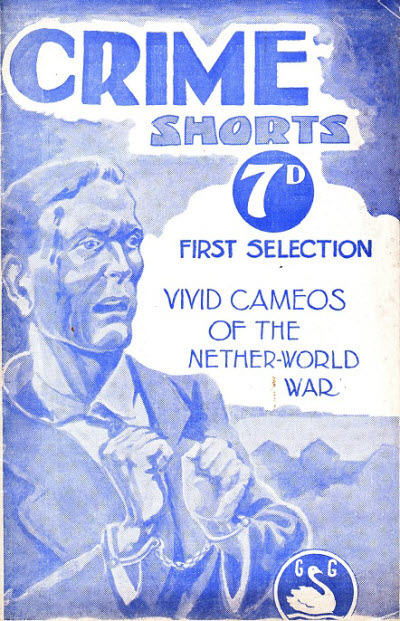 The title suggests an omnibus from previous volumes of Gang Shorts and Thrill Shorts, but the copy seen contains Gang Shorts #3 & #4, Occult Shorts #2 and Weird Story Magazine #2 so it is possible there were different contents in different copies. 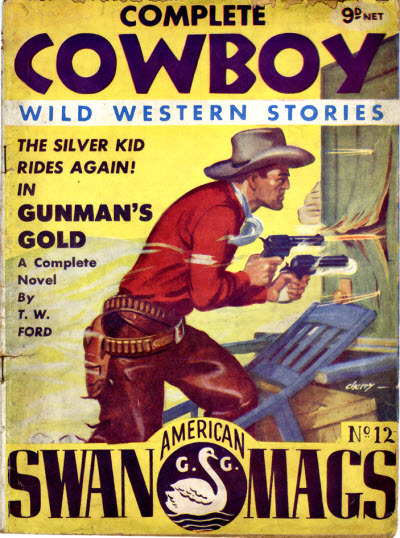 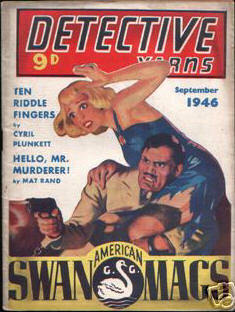 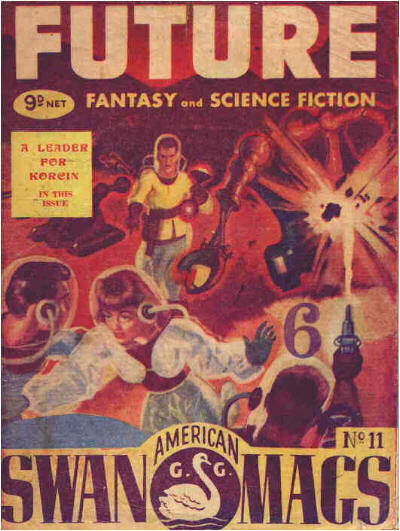 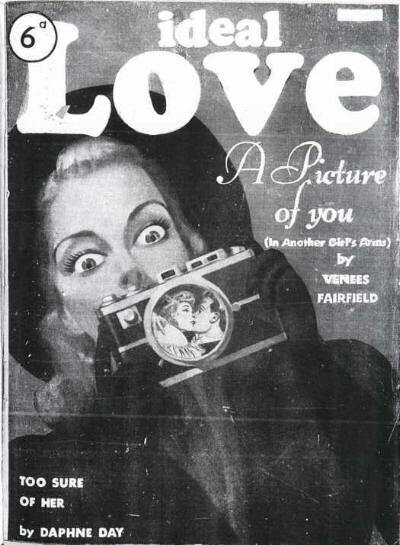 This magazine was an attempt by Swan to eliminate unsold issues of various publications, and contained four separate magazines, complete including front and back covers. 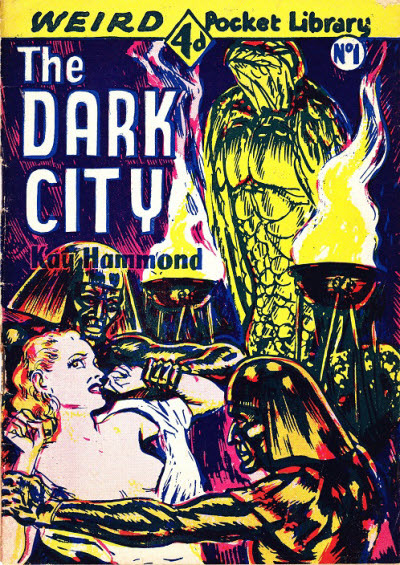 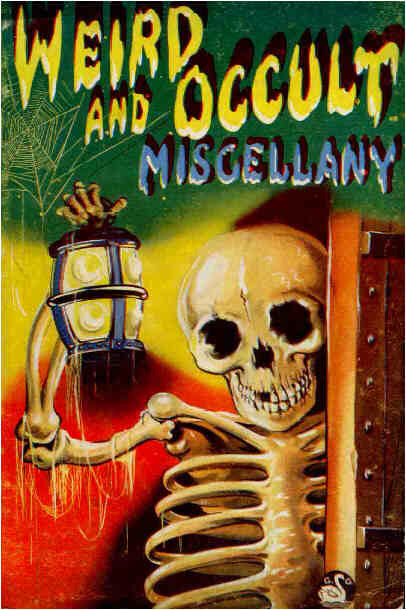 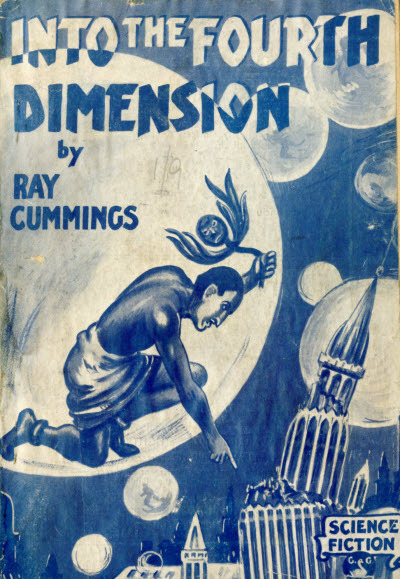 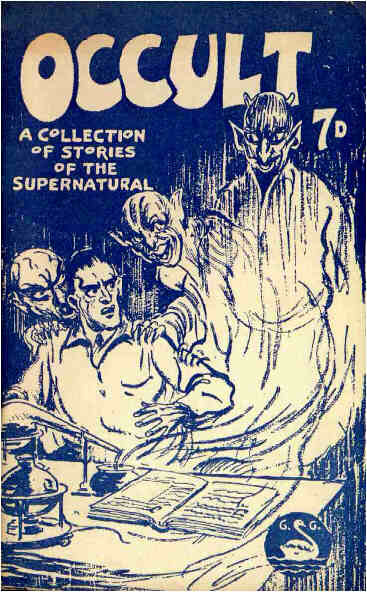 The actual contents varied from copy to copy and were rarely limited to purely supernatural titles. 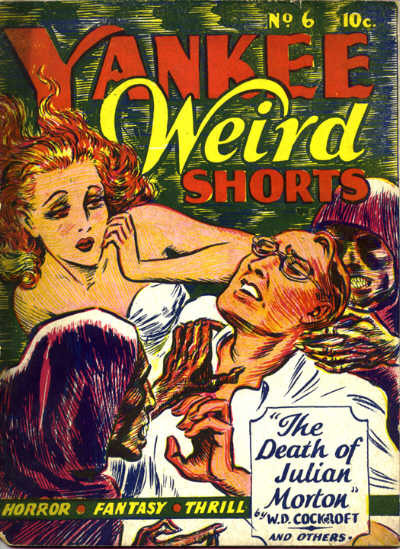 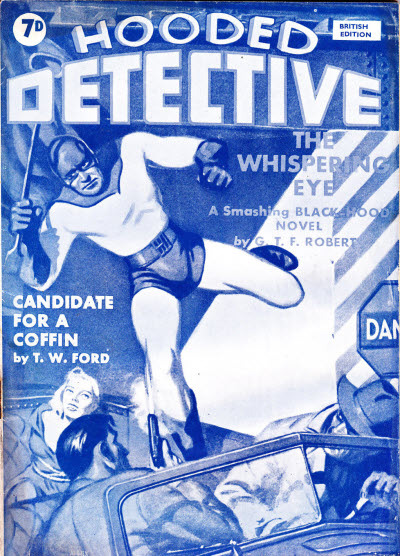 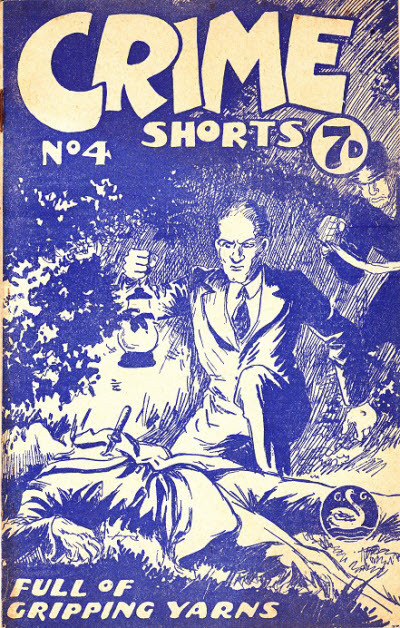 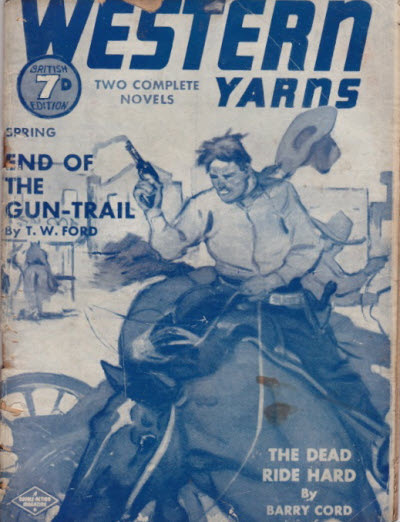 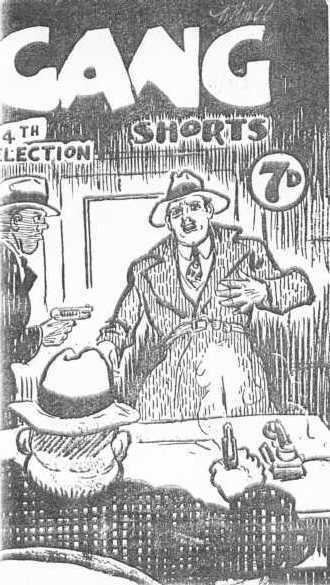 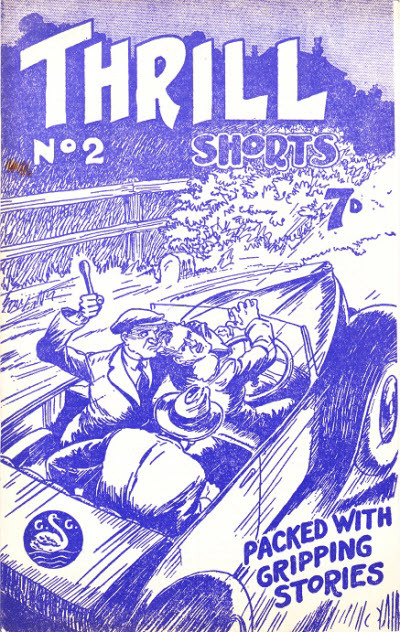 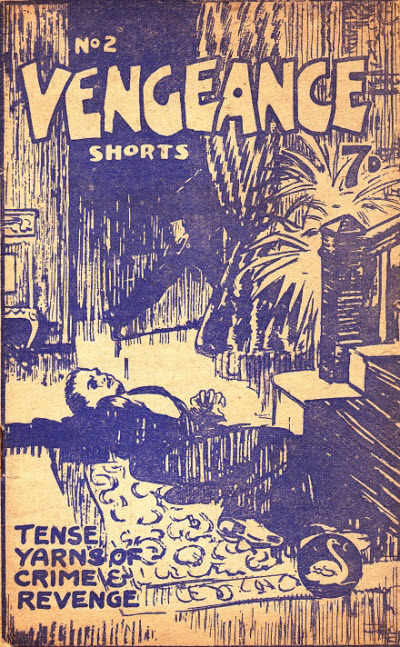 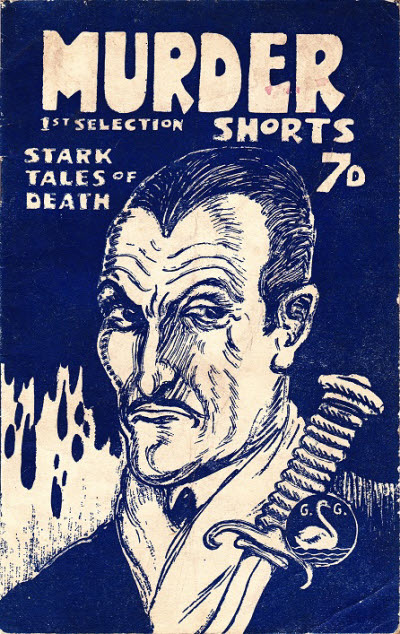 The issue examined for SFFWF was subtitled "Supernatural Yarns" and contained Weird Story Magazine #2, Occult Shorts #2, Racing Shorts #1, and Detective Shorts #4, re-packaged within a new external cover, which shows a vampire rising from a coffin. 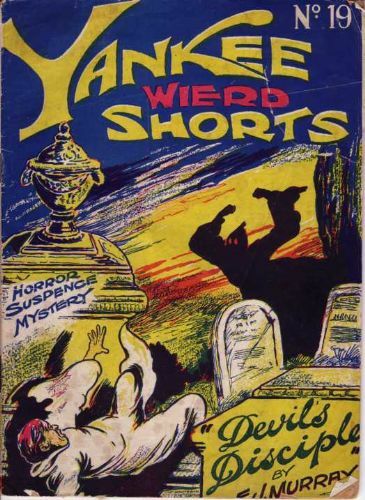 Another issue listed for sale on eBay contained: Weird Story Magazine #2, Occult Shorts #2, Occult #1, and Vengence Shorts #2. 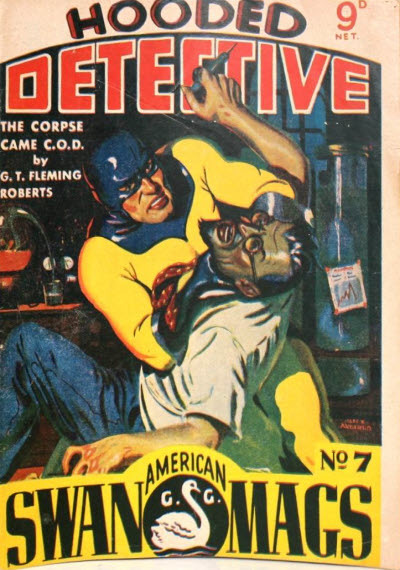 Issue #2 may be phantom. 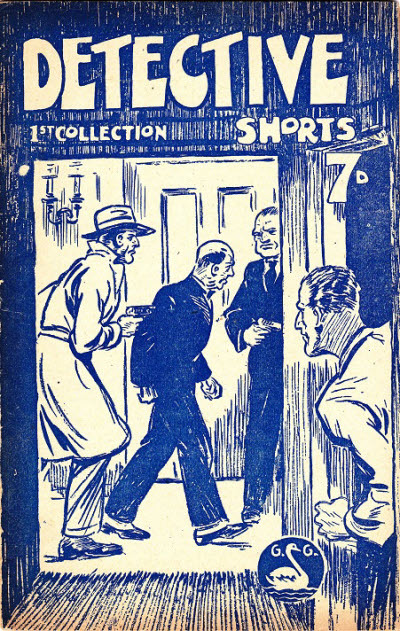 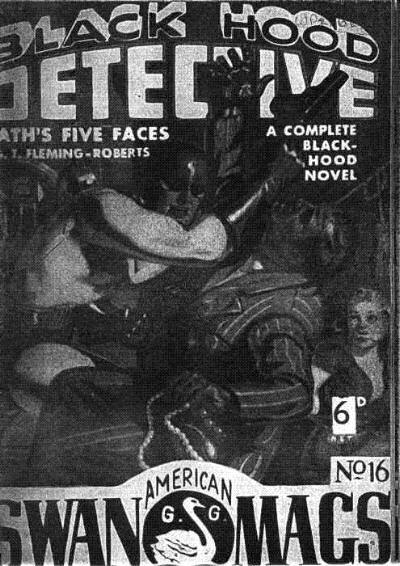 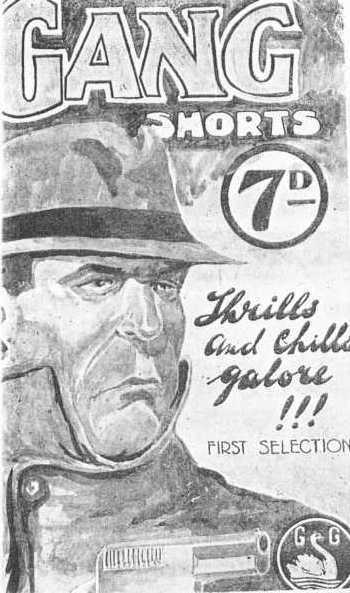 The lead stories are reprinted from the "Master Thrillers" series of booklets from the 1930s but the other stories appear to be new (at least in the second issue). 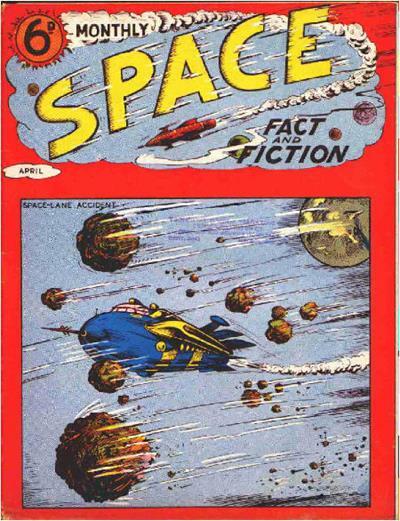 Two further issues were announced but probably never appeared. 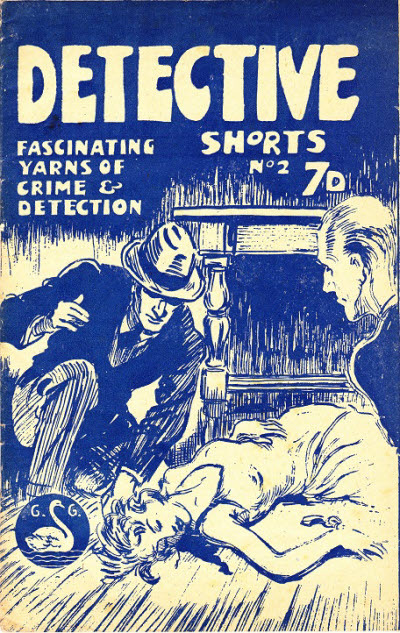 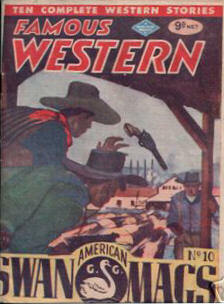 Note that the first issue is undated and has been dated as early as 1941 by some sources. 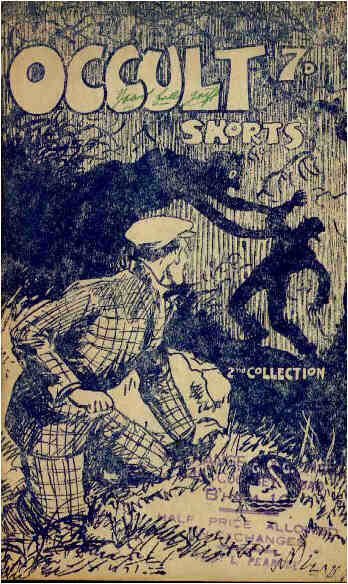 Note also that unsold copies of the second issue were rebound as part of Four in One Weird and Occult Shorts. 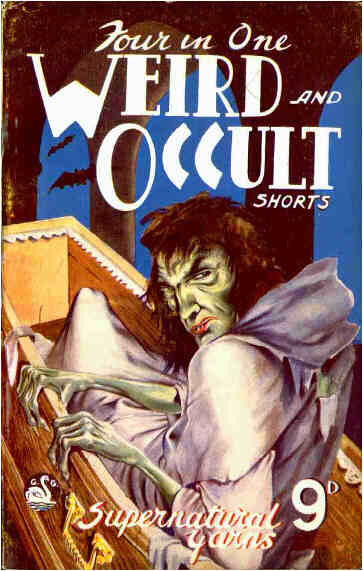 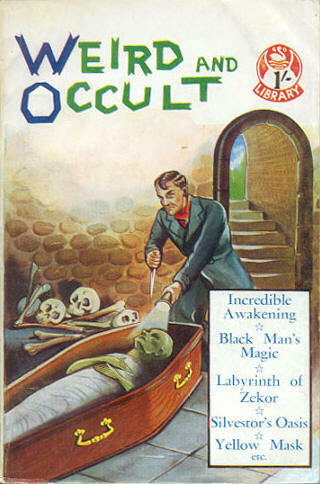 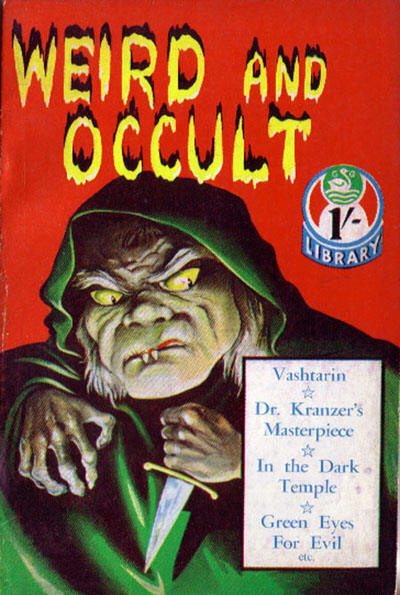 while #2, (1946) was Occult Shorts: 2nd Collection. 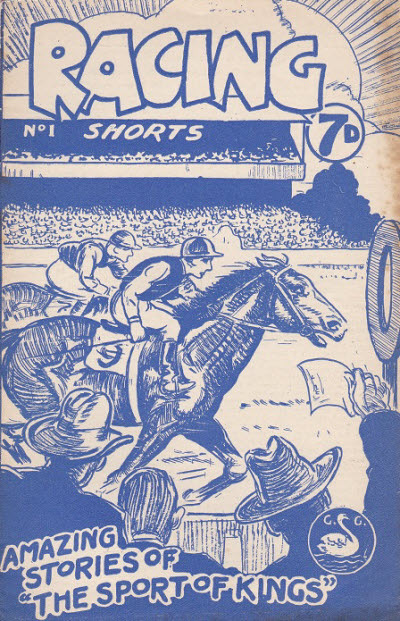 At least one issue of this magazine was produced because unsold issues of Racing Shorts #1 were rebound as part of Four in One Weird and Occult Shorts. 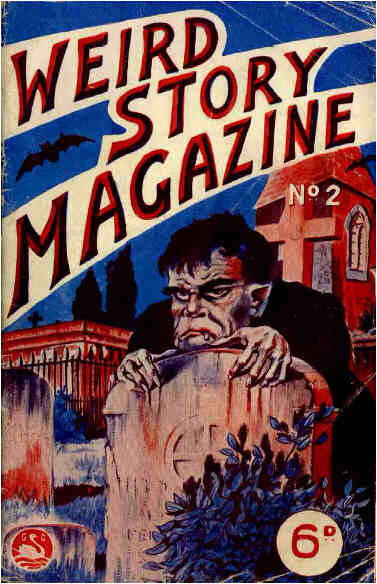 Other than that, nothing is currently known about the magazine. 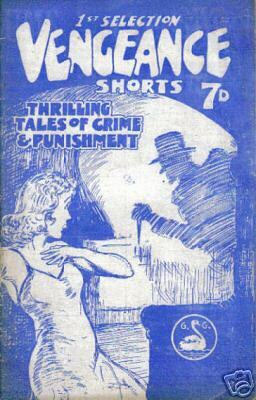 Contains both new and reprint stories. 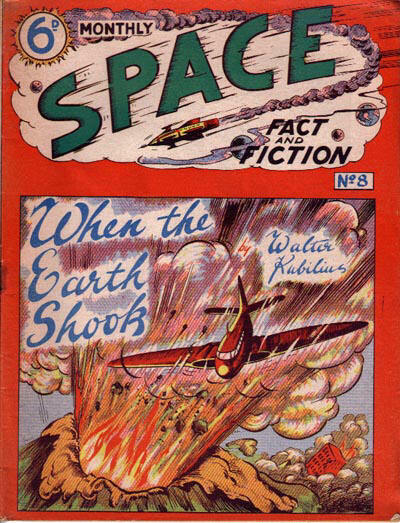 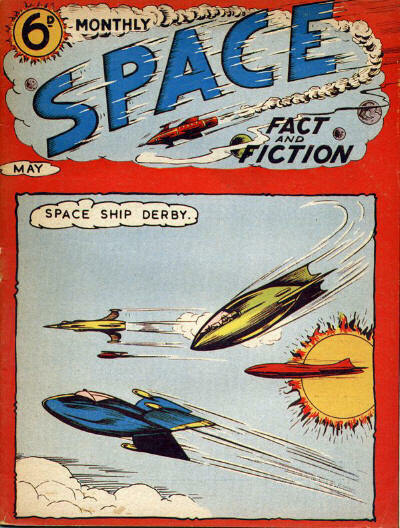 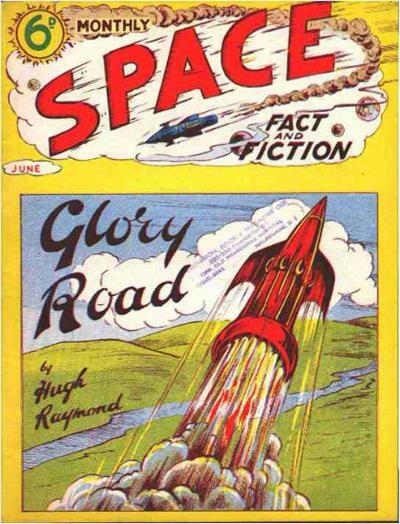 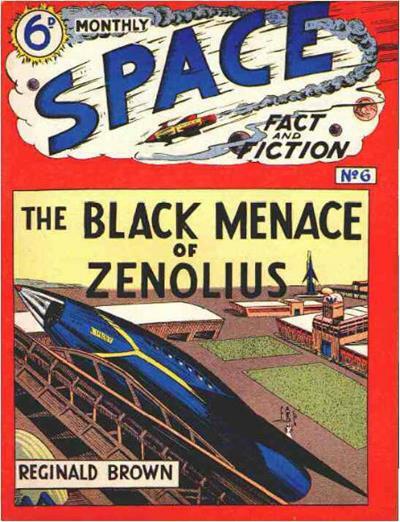 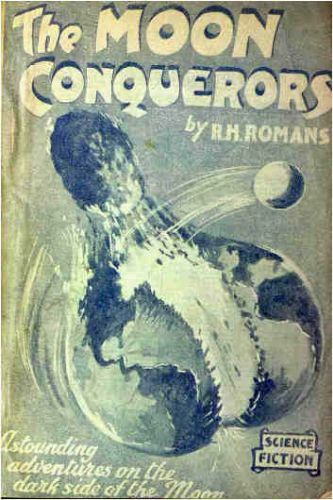 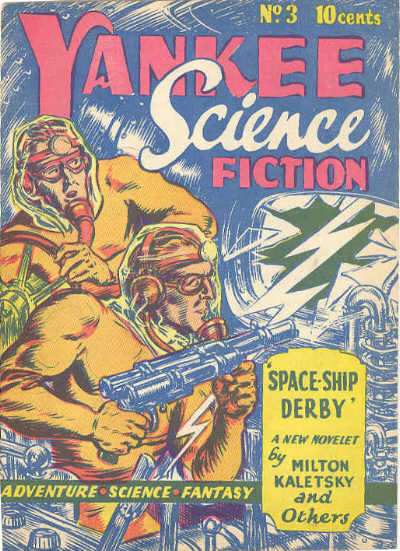 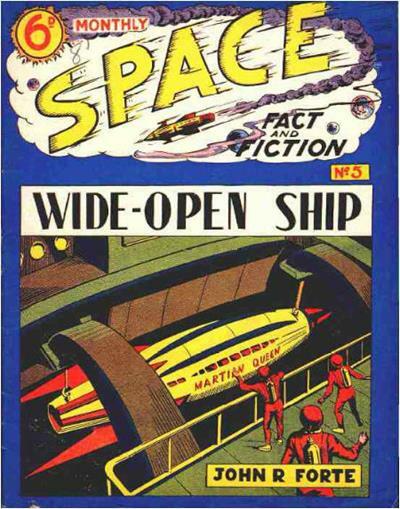 Although the magazines were actually entitled The Moon Conquerors and Into the Fourth Dimension, these were the titles of the lead stories and each was, in fact, a nearly complete reprint of an issue of the US Science Fiction Quarterly. 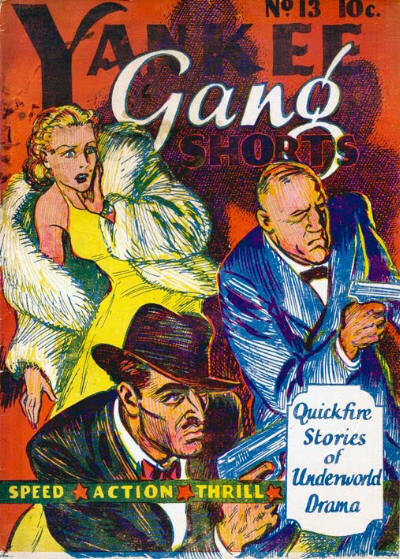 One-shot thin magazine, reprinting stories from Black Hood Detective and Crack Detective. 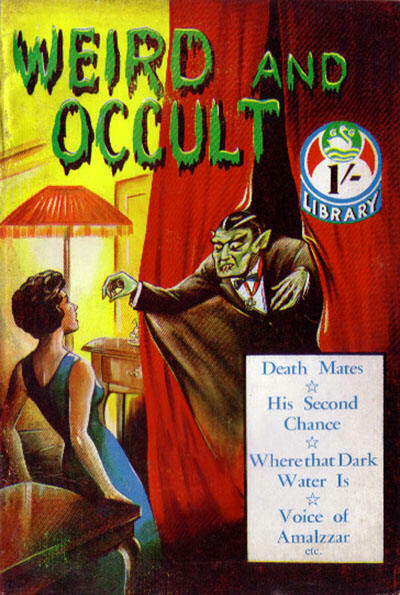 There is also at least #1 of a New Series, which is identical to #1 of the original series. 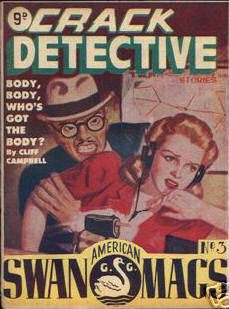 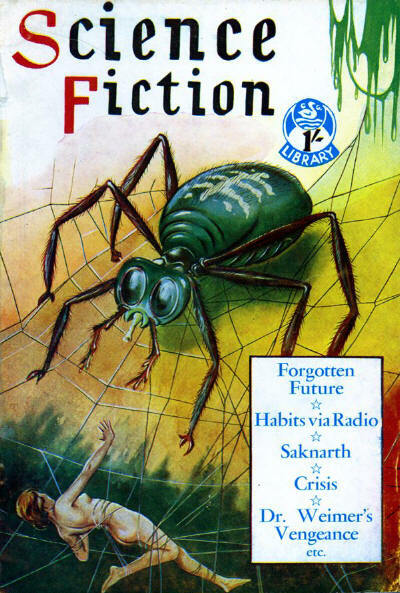 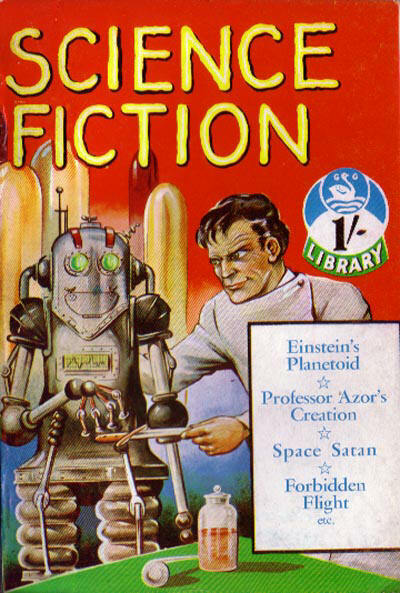 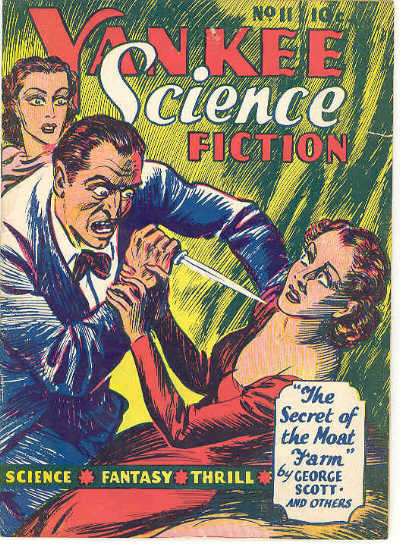 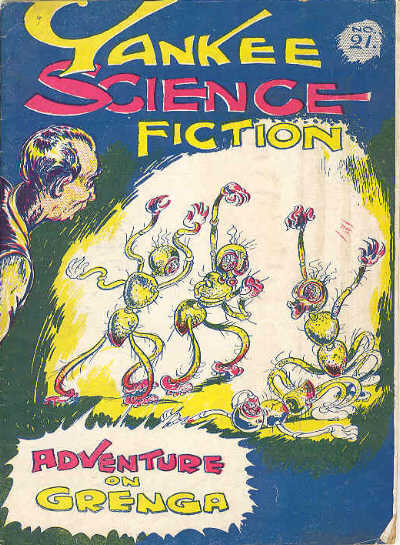 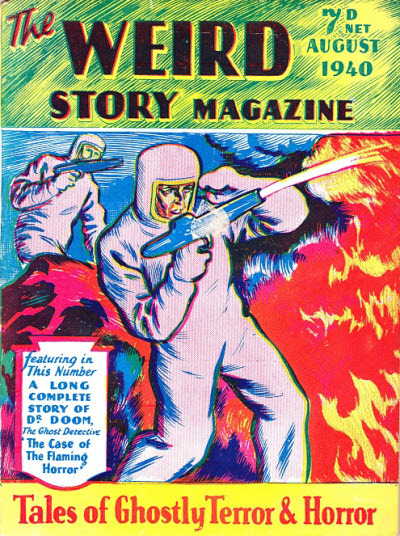 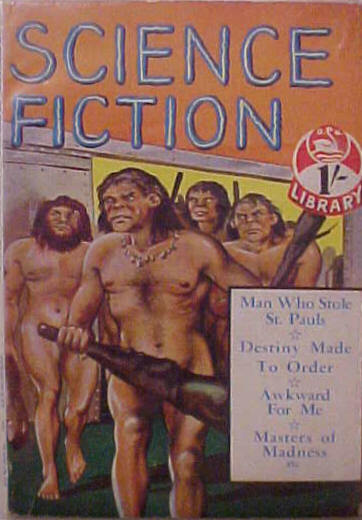 There were two series of Weird Story Magazine, a single issue in August 1940, and two issues after the war in 1946. 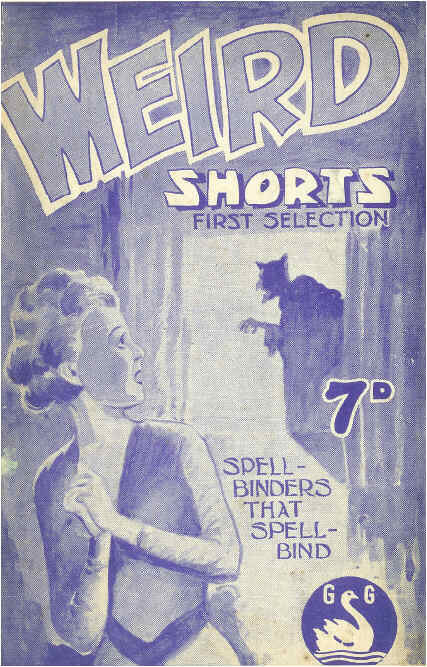 Note that unsold copies of the final issue were rebound as part of Four in One Weird and Occult Shorts. 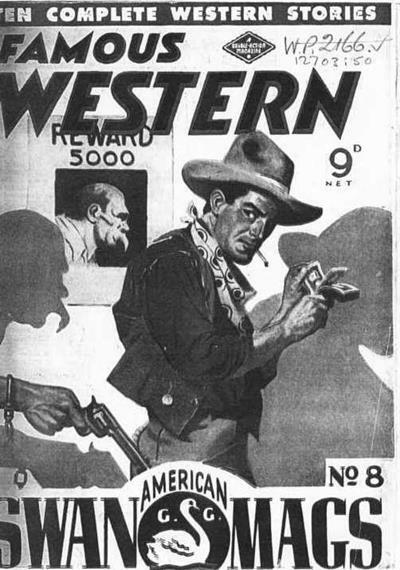 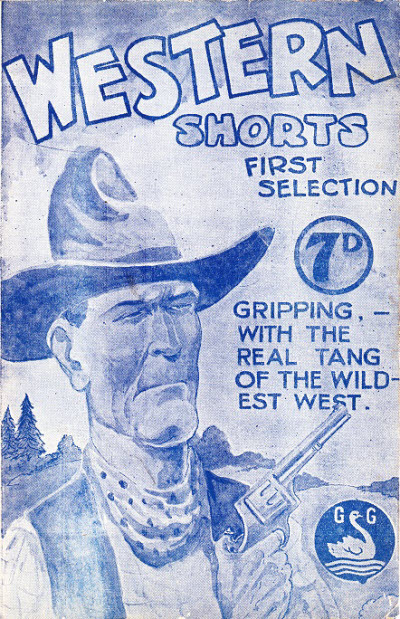 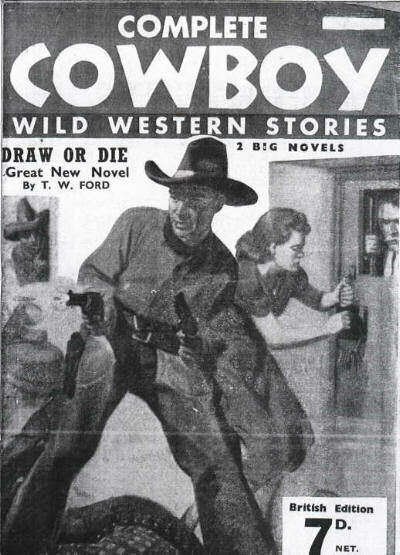 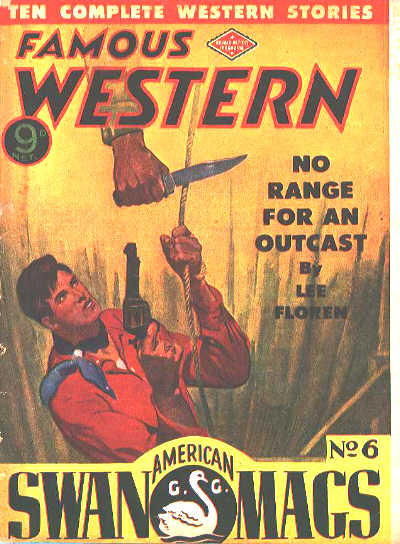 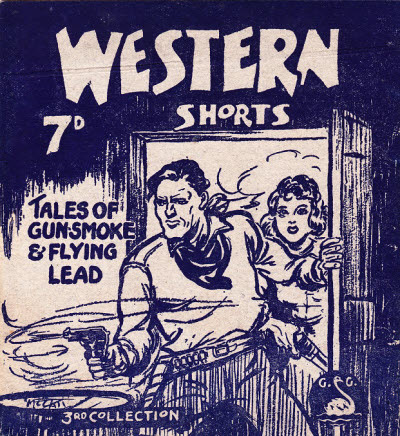 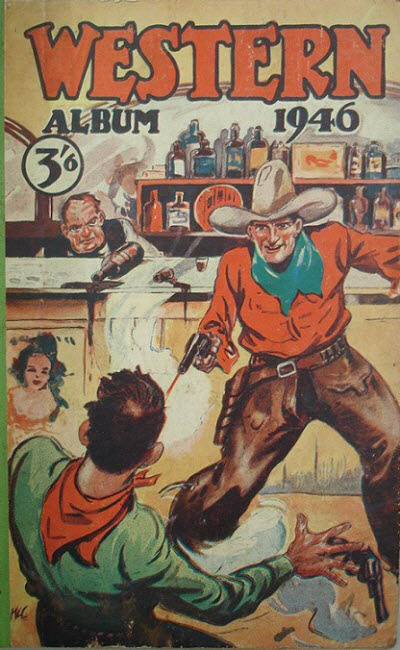 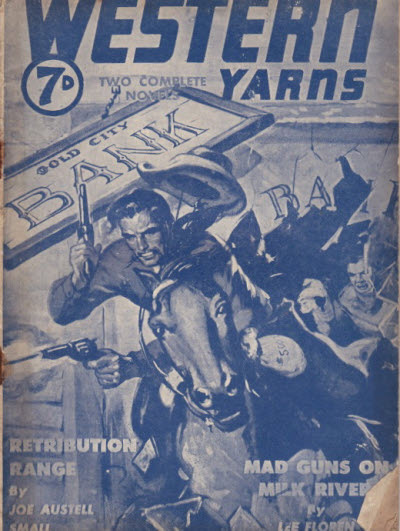 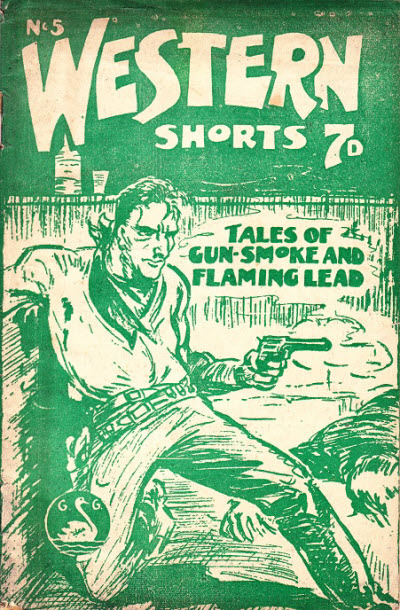 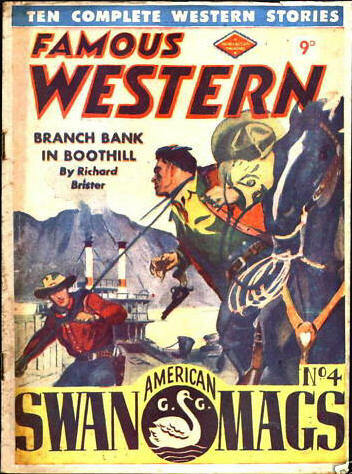 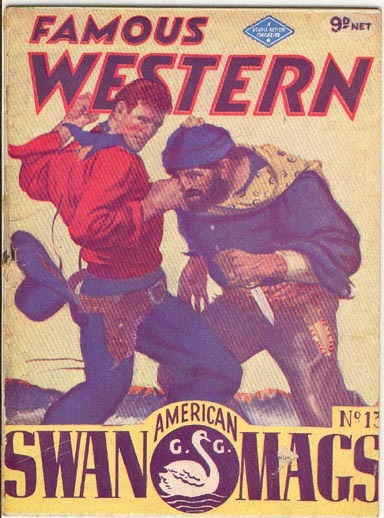 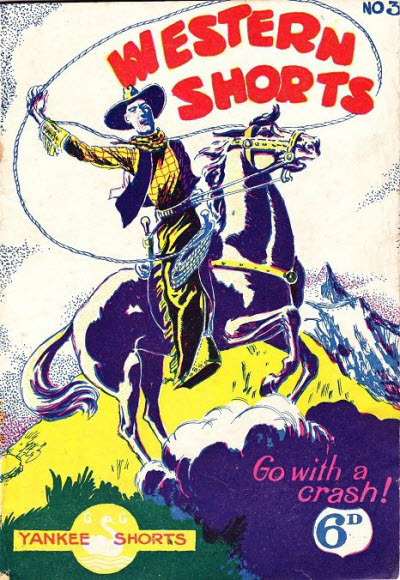 Two issues of the first (1940/2) series of Yankee Shorts were called Yankee Western Shorts and (at least) two issues of the second (1943/4) series were subtitled Western Shorts, but there was also a later series of pamphlets just called Western Shorts. 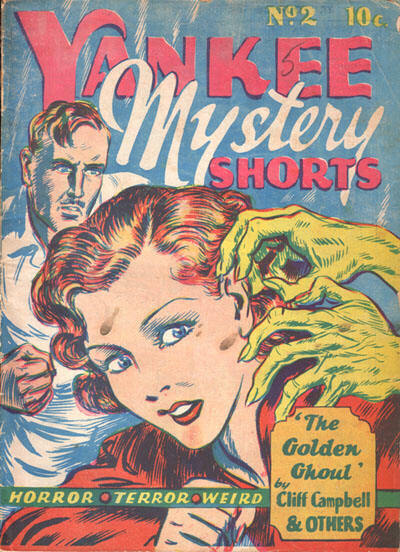 #4 has not been seen and may not exist. 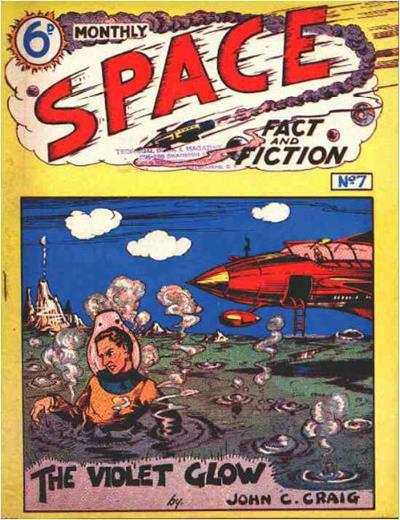 The series mixed reprints with original stories probably depending on how much space there was left in each issue. 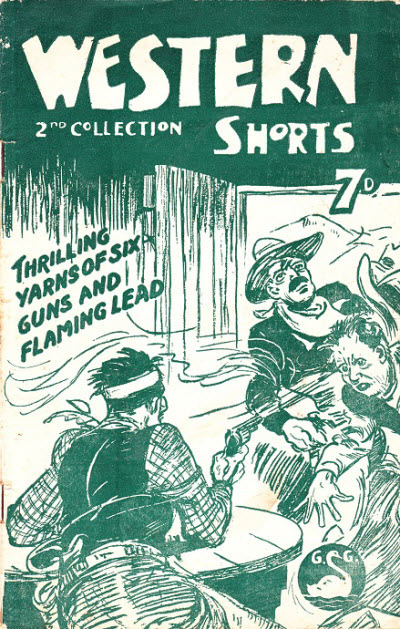 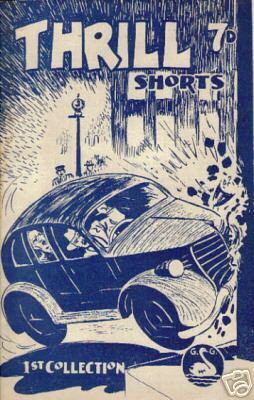 The second series, published in 1943/1944, were digest-sized and were explicitly labelled Yankee Shorts as well as a separate title such as Romance Shorts and Western Shorts and a number. 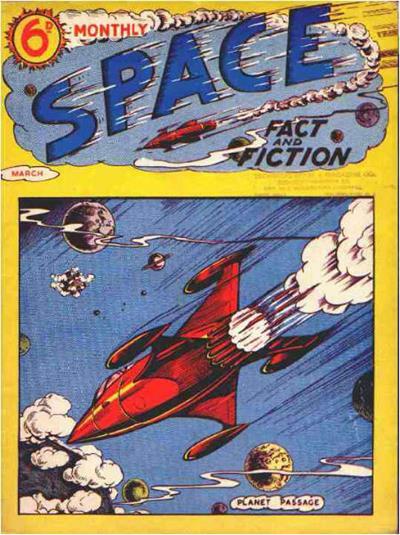 In this series, however, the issues were numbered as sequels to the equivalent title in the first series.